How To: Become A Leader – Step Up Today! 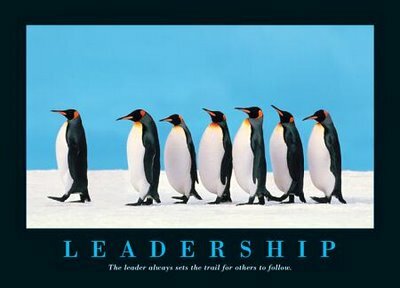 According to Dictionary.com, a leader is “a person or thing that leads.” To me, a leader is so much more than that. A leader is someone who goes above and beyond, who truly WANTS to make a difference. To lead is to inspire. Throughout my life I have taken every leadership opportunity that has come my way. Although it was difficult and I wanted to rip my hair out at times, I learned a great deal about myself and grew as a person because of it. Not quite sure how to step up and stand out amongst your peers? Here are some tips that may help you overcome what is holding you back! Get involved: There is no such thing as getting involved in a club or organization too soon. The earlier the better! Getting involved will help you gain the experience and skills needed to prepare you for that leadership position that you’ve been wanting since you joined. Surround yourself with mentors: Keep in mind that your mentors are there to help and guide you. Observe the habits of those who have yielded the success that you aim to achieve, and you will be one step closer to following in their footsteps. Don’t hesitate to offer help: Your peers will take notice when you make the effort to go the extra mile and offer them your help. The saying, “A little bit goes a long way” truly does apply in the real world. Offering assistance, even the littlest bit, will help you stand out! Always ask questions: The worst thing you can do is not ask a question and then make a mistake because you were “pretty sure” you knew the answer. Never be afraid to ask a question, no matter how small or silly you think it is. Yes, stepping up in any given situation can be challenging and quite intimating, especially when you are the youngest! But believe me, these challenging roles do pay off! Have you ever been afraid to take on a leadership role? Let us know what helped you overcome your fear! This guest blog post was written by PRowl Staff Member Amanda White.